*Uniform is a free size (equivalent to L size), front opening type. *The image shown is for illustration purpose only. 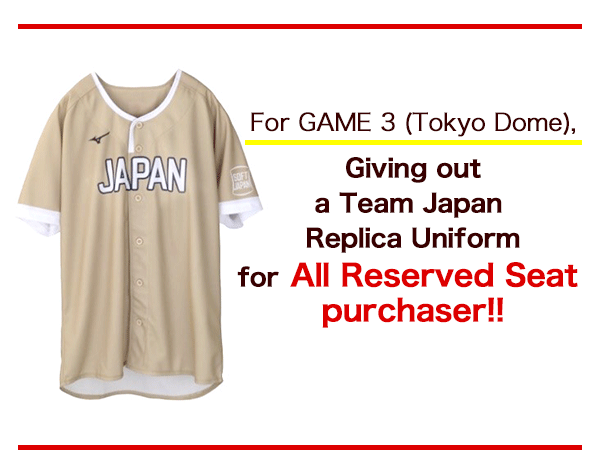 *Please pick up a replica uniform at designated exchange counter in front of the GATE 22. Exchange from 30 min prior to the door open time until the bottom of the sixth inning. 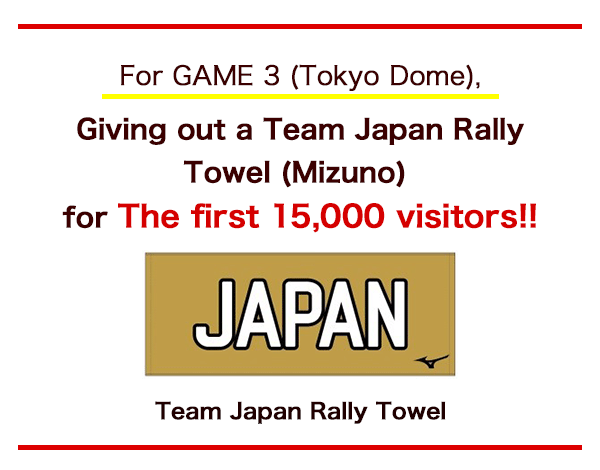 *The size of the towel will be equivalent to length 34 cm × width 80 cm. 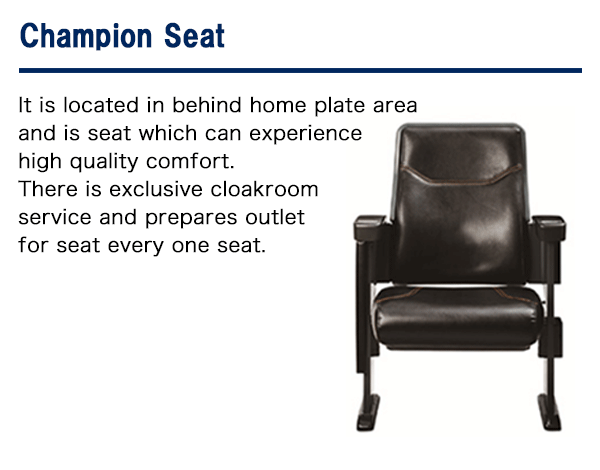 *The above seating area may be subject to change. 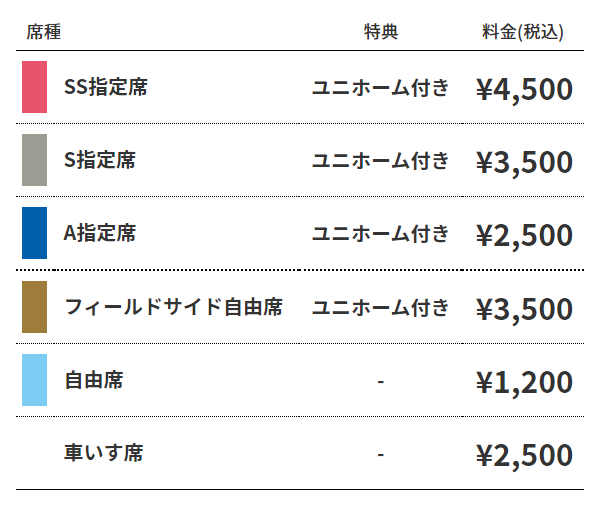 Please add ticket.e-tix.jp@etix.com to your Address Book to ensure the order confirmation email gets delivered. Admission ticket is required from elementary school student. Even children under elementary school must have an admission ticket in order to secure a seat. 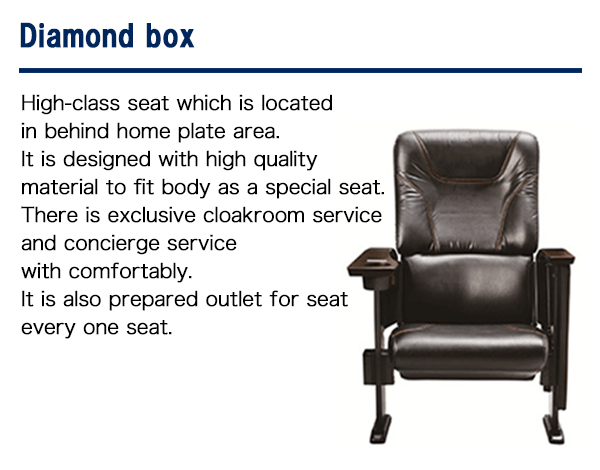 Depending on the vacant seat situation, we may not sell ticket on the day. Please note that you can not change the delivery method after purchase. Please have a printer ready to print out your ticket. A link to reprint your ticket will be emailed to you after purchase. Please add "ticket.e-tix.jp@etix.com" to your Address Book to ensure it gets delivered. Every ticket has unique barcode and serial number and it will be scanned at the entrance gate, please check your ticket has the barcode and serial number printed clearly. To enter the game, printed ticket is required. Showing ticket image on SmartPhone or tablet PC is not accepted. - Credit Card: Available to pick up after 48hrs from the purchase time to the day of performance. - Pay at Outlet: Available to pick up until 9PM two days after purchase date. Order will be voided after expiration. (1)You will receive "Online Ticket Pick Up Voucher" after purchase. (2)Print the voucher out or note Voucher Number and bring it to Seven Eleven Store. (3)Ask cash register for issue ticket(s). 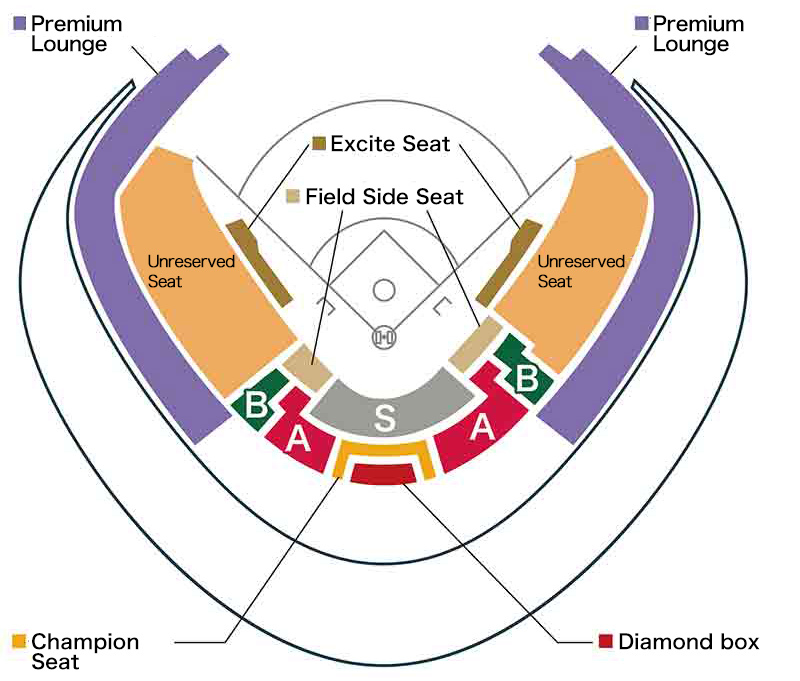 After the payment of the Handling Fee your ticket(s) will be issued. Please note that you can not change the payment method after purchase. 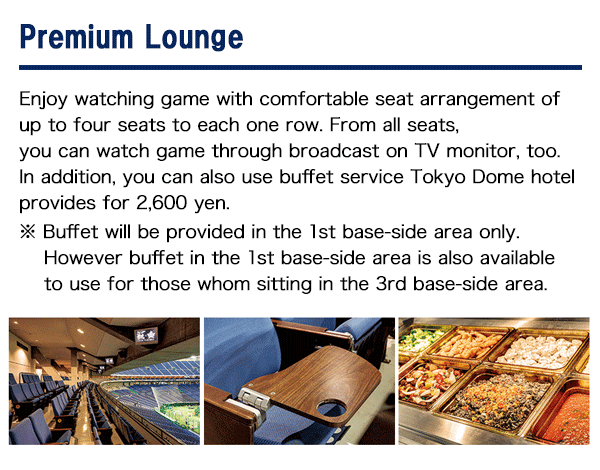 No online ticket sale for GAME 1 and 2 (at Shellcom Sendai).